A vocation is a call to that special walk in life ordained for us by God, part of a great divine plan. It is a mystery that man accepts and lives in the depth of his being, a gift and a grace, which we cannot truly grasp or understand. God Who loves us, Who is love, is also "He Who also calls". Therefore in the presence of a vocation we can only adore the mystery, respond lovingly to the initiative of love, and say 'yes' to the call. At the heart of every vocation there is always Jesus, Who Himself explained, "You did not choose me but I chose you. And I appointed you to go and bear fruit" (John 15:16). The response depends on the generosity of the heart of the one called, because He Who calls always leaves freedom of choice: If only you would listen to the Lord, the great Friend. He looks you in the eye and He speaks to your heart in the intimacy of personal prayer. To read from a suggested list of Scripture passages on vocation, please click here. 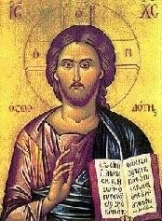 However pressing the needs of the active apostolate, Religious Institutes which are totally devoted to contemplation, must continue to play their wonderful role in the Mystical Body of Christ, in which "not all the members have the same function" (Rom 12:4), their members giving all their time to God alone in silence and solitude, praying continuously and willingly doing penance. They offer to God an outstanding sacrifice of praise, making God's People resplendent with the rich fruits of holiness; they stir it by their example and give it growth by the hidden fruitfulness of their apostolate. 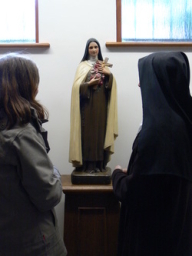 What is a Carmelite Vocation? A Carmelite vocation is a very special call, given only to a few, to turn deliberately away from the things of this world, in order to seek the things of God, in a life dedicated to prayer. It requires great love, courage and generosity and a real willingness to respond to the Will of God speaking through all the daily demands of Carmelite life. 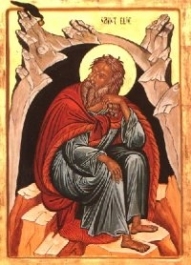 The Order itself began around the 12th century with a group of hermits living on Mount Carmel, taking their inspiration from the Prophet Elijah. They observed the Rule written for them by St. Albert of Jerusalem, living in allegiance to Jesus Christ with a pure heart and an upright conscience. The brothers were to stay in their own cell or nearby, pondering the Lord's law day and night and keeping watch at their prayers. However, they celebrated the Eucharist and the Prayer of the Church every day as a community and had a common refectory. They were to possess everything in common, work diligently, keep faithful silence, fast and practise constant mortification with prudence, all under obedience to their Prior who was placed at the head of the community to serve it. To read the Rule in its entirety, please click here. The intention of St. Teresa of Jesus, in renewing Carmel, was that the life should be entirely directed toward prayer and contemplation of the things of God and that all would observe the evangelical counsels, as set forth in the 'Primitive' Rule, in a small sisterly community that would be founded on solitude, prayer and strict poverty. 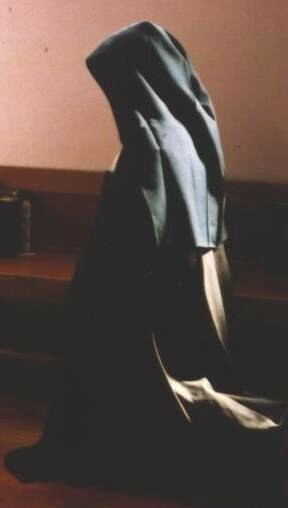 She wished the life of her nuns to integrate, on the one hand, solitude and silence, with a sisterly communion of life, on the other. It was to be centred on love for the Lord and ruled by sisterly charity and generous evangelical self-denial, all in the service of the Church. The vocation of the Discalced Carmelite Nuns is a gift of the Spirit. Through it, they are called to a 'hidden union with God' in friendship with Christ, in familiarity with the Blessed Virgin Mary, and in an existence in which prayer and immolation blend into a great love for the Church. Therefore, in virtue of their vocation, they are called to contemplation in prayer and in life. Their commitment to continuous prayer is sustained by faith, by hope, and above all, by divine charity. In that way they are enabled to reach the fulness of life in Christ with pure hearts. Through such prayer, they prepare themselves for ever more lavish gifts of the Spirit. The very nature of the Teresian charism demands that the prayer of a Discalced Carmelite and the consecration of all her energies be directed toward the salvation of souls.